It's All My Blog: [Video] Still Not Convinced That Face Unlock Is Easily Fooled By A Photo? [Video] Still Not Convinced That Face Unlock Is Easily Fooled By A Photo? 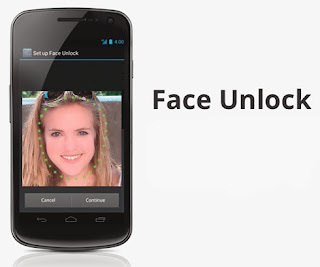 One of the most interesting features in Ice Cream Sandwich is, without a doubt, the new Face Unlock that lets you unlock the phone using your face and the front-facing camera. The question of whether Face Unlock can be duped by a photo was raised by many almost immediately after the feature was announced, to which Google responded with "give us some credit". The final verdict will be out only when we can test Face Unlock with actual production units - any results obtained before that are, well, preliminary. Still, they shouldn't be dismissed, as the software may not change. In fact, I have a feeling carriers will try to disable Face Unlock initially because it may seem too new and scary of a tech to them. Face Unlock should not be treated as a secure feature - even Google warns you of that when you try to enable it. It's definitely not the panacea for all our security problems. While I realize this and wouldn't rely on Face Unlock to protect my super-secret CIA-issued EVO 8G, Google's initial, arguable cocky, response is what makes these reports particularly interesting. If they said a photo could trick Face Unlock right off the bat, people wouldn't have made such a big deal out of all these snafus. The first major report of Face Unlock getting duped by a photo started circulating a few days ago, but many remained skeptical and suggested that the phone was originally programmed using the presenter's photo. Even after seeing the second video where we actually see him do it using his face, some of the skeptics insisted he could have reprogrammed it in the meantime, and therefore the test was not admissible. Having looked at both the above video and the one you're about to see, I have a theory that Face Unlock struggles especially hard with photos that aren't printed, but rather shown using another device. In both cases, it's the Galaxy Note with a nicely sized screen that ends up duping it - perhaps an LCD display's contrast and brightness make it so much harder for Face Unlock that it can no longer distinguish photos from reality. And there you have it - more evidence that Face Unlock is not quite there just yet. Will most people still use it? Probably. Is it a cause for concern? Perhaps. Should you, the consumer, be aware of it? Absolutely.